JJWC’s community volunteer work is focused in the areas of: Fine Arts, Conservation, Education, Home Life & Health, and Public Issues & International Outreach. 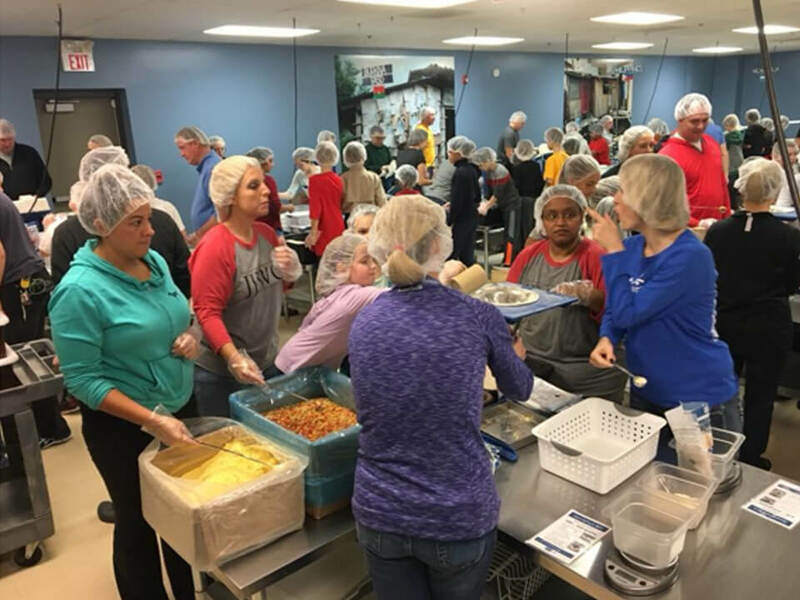 JJWC was excited to volunteer at Feed My Starving Children in Aurora on January 27, 2018. 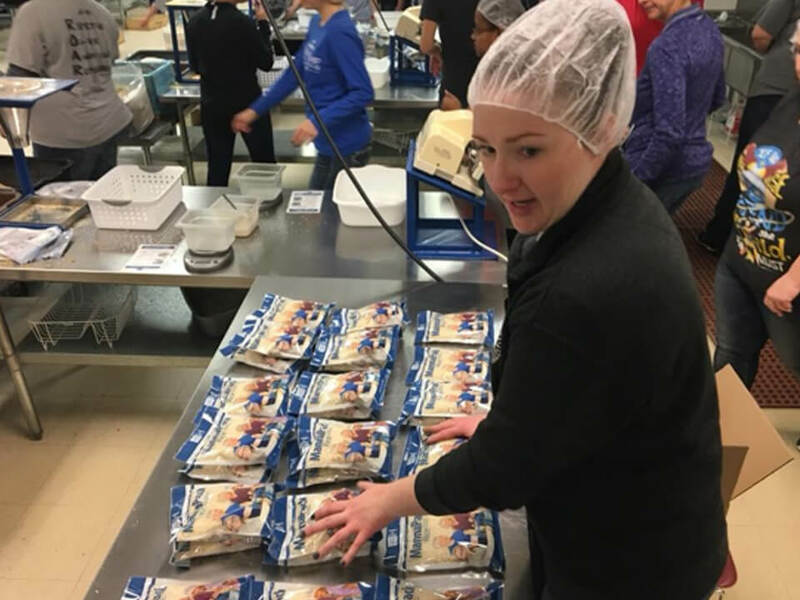 10 members volunteered for a 2-hour shift to pack bags of rice, grain and vitamins to send to children in Haiti and Nicaragua. During our shift, our members filled 32 boxes – 1152 meals! That’s enough to feed 3 children for an entire year! 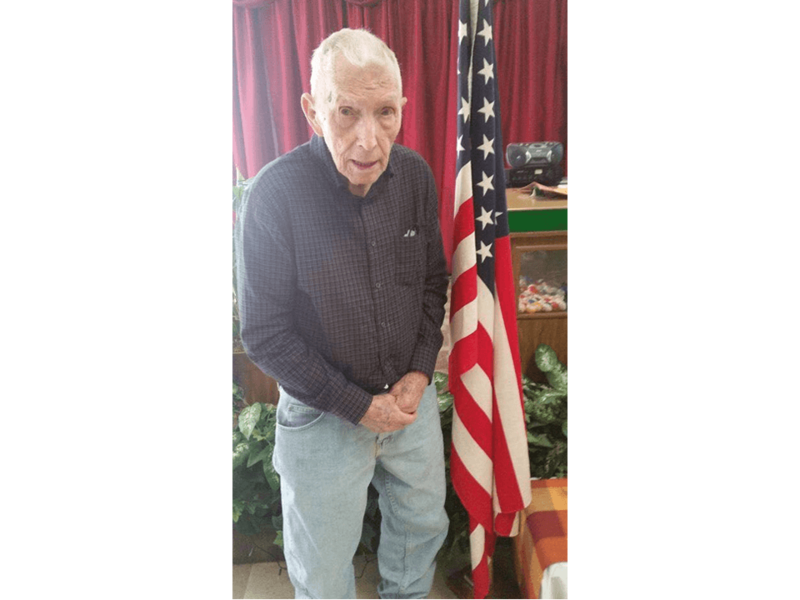 JJWC member Katrina Nolan became aware of a World War II veteran living in nearby Shorewood who was celebrating his 100th birthday. His daughter was hoping to collect 100 birthday cards for him in celebration. At the January 2018 general meeting, Katrina brought a selection of birthday cards, and each of the 8 members present spent time writing heartfelt messages of appreciation for his service and wishes for good health and continued happiness. JJWC members are always looking for creative ways to reuse items that would ordinarily be thrown away. Through her connections in the community, JJWC member Stephanie Perella became aware of a warehouse in the area that was liquidating its stock. The items for sale included several hundred “Webkins” stuffed beanbag animals. Stephanie was able to secure a donation of the stuffed animals and coordinated with JJWC to find a new home for them. Some of the stuffed animals were donated to children at Thomas Jefferson Elementary School as part of a reading program the JJWC members hosted on May 1, 2018. The majority of the toys were given away on February 16, 2018 to the emergency department at Presence Saint Joseph Medical Center. 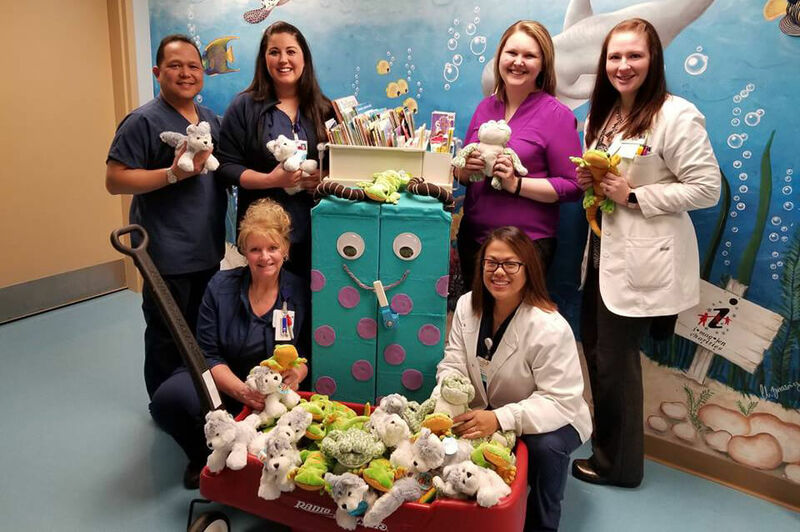 The ER staff there had decorated a special cabinet full of toys and books that are given away to children who visit the hospital. JJWC members partnered with the office of State Representative Natalie Manley to raise money to fund a Pinwheels for Prevention display. Pinwheels for Prevention is a nationwide fundraiser and awareness campaign by Prevent Child Abuse America; the pinwheels represent the ideal, carefree, and healthy childhood that every child deserves to experience. The club chose to display the pinwheels along a 2-mile stretch of Essington Road, a popular business corridor in west Joliet. Club members solicited business owners along the stretch of road to sponsor the purchase of pinwheels, raising a total of $2,050. The club also contributed $250 from its own budget towards the effort. The club also partnered with the City of Joliet to have space donated on two electronic billboards along the stretch of road in order to display information about Child Abuse Prevention Month. 4 members volunteered in the cold, early morning of April 8, 2018 to plant the blue pinwheels along the roadside. The pinwheels remained on display during the month of April, drawing much attention from passers-by. 4 members volunteered again on Saturday, May 5, to take down the display and store the pinwheels that were still in good condition for use the following year. JJWC members are passionate about promoting literacy and a love of reading with young children. 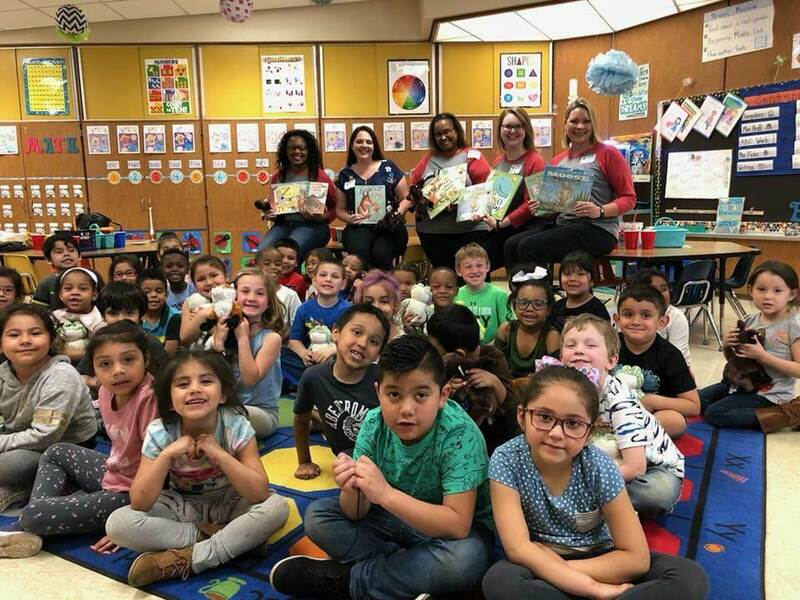 5 members volunteered as guest story time readers for three Kindergarten classes at Thomas Jefferson Elementary School on May 1, 2018. 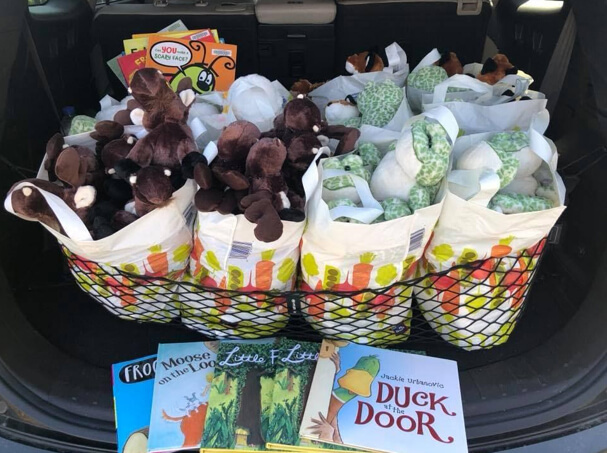 The members also brought along donations of stuffed moose, frogs, and ducks for each of the children, as well as brand new books to donate to each of the classrooms. The members read books that were themed along with the three animals. The children enthusiastically welcomed their visitors, and the teachers were grateful for the donation towards their class libraries. 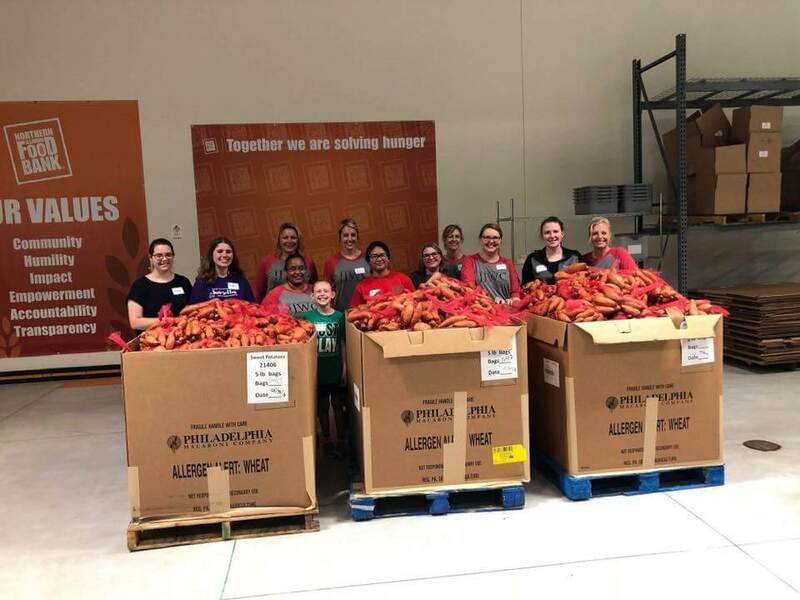 In May 2018, the Northern Illinois Food Bank opened a new distribution center in Joliet, and the JJWC was excited to partner with them to help solve hunger in our community! NIFB collects donations of food that would otherwise be discarded by restaurants, grocery stores, and farmers, and repackages and distributes it to various local food pantries. On two occasions, JJWC members gathered for a 2-hour shift at the distribution center to help sort and inspect food. 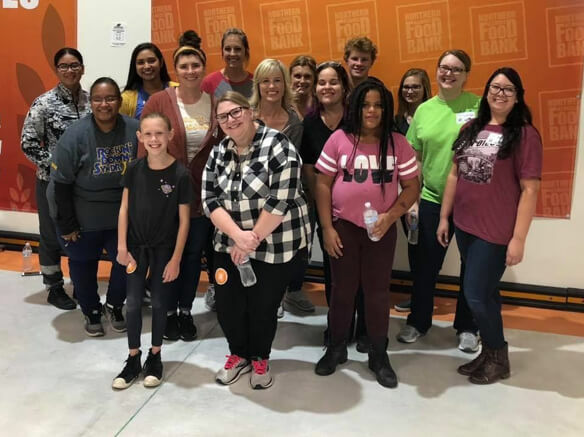 On May 30, 2018, 8 members helped process 4,100 pounds of sweet potatoes. And on September 26, 2018, 10 members volunteered to pack 8,753 pounds of frozen meat. The JJWC book club read five books throughout 2018. Each member took a turn hosting the event in their home or at a location of their choosing. The books were selected by a vote among the participants. Besides exploring books outside of their usual preferred genres, members especially enjoyed the fellowship and getting to know each other outside of the regular meetings. 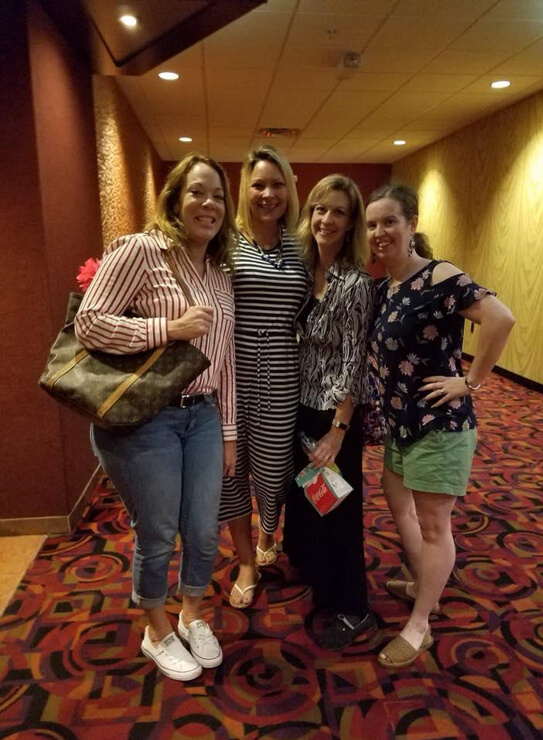 The group also planned a special outing to see the movie “Book Club” together on June 13, 2018. At our first meeting of the 2018-2019 club year in August, members were asked to bring a donation of school supplies to benefit the preschool class at the Joliet Early Learning Center. 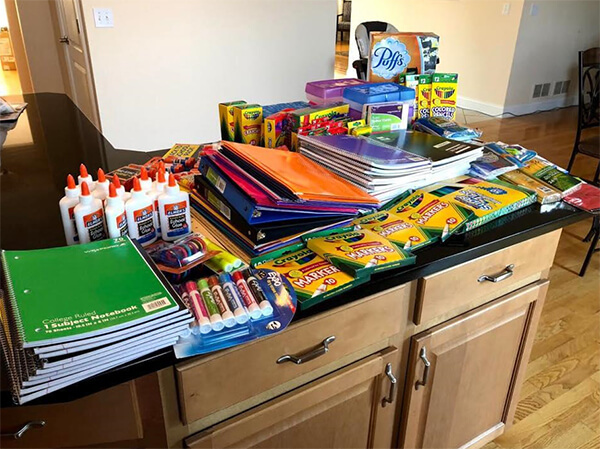 In total, JJWC members donated 56 bottles of glue, 16 boxes of crayons, 6 pairs of scissors, 7 boxes of markers, 8 boxes of colored pencils, 3 packs of index cards, 1 book cover, 3 boxes of Kleenex, 8 supply boxes, 18 packs of pencils, 3 packs of pens, 29 spiral notebooks, 2 binders, 5 packs of loose leaf paper, 5 rulers, and 52 pocket folders. The school was beyond excited to receive our generous donations, and everything was put to great use! 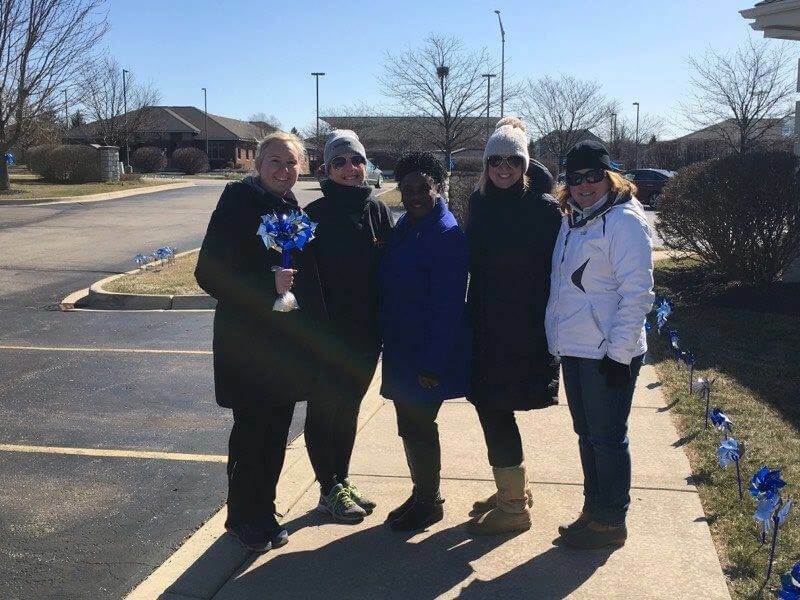 Eight JJWC members participated in the Will County Take Back the Night march, vigil and rally on October 4, 2018, at Joliet Central High School. Take Back the Night is an annual event to raise awareness about domestic violence, sexual assault, and other forms of violence against women. Two JJWC members, Katrina Nolan and Amirrah Abou-Youssef, volunteered on the planning committee for the event on behalf of JJWC. 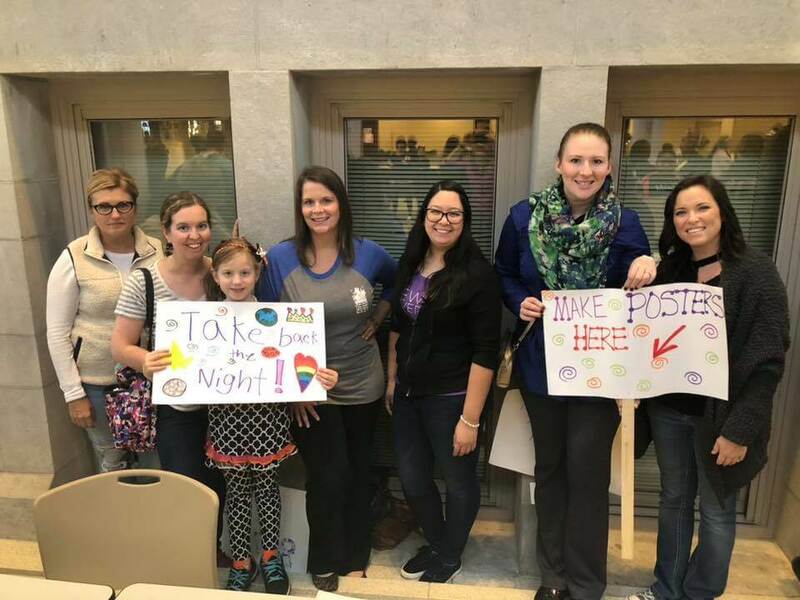 They attended monthly meetings throughout the year to coordinate the logistics of this widely popular community event, which drew a crowd of over 300 – largely consisting of family members and loved ones of victims of domestic violence. On the evening of the event itself, six additional JJWC members attended to host a poster-making table. Loved ones of victims, survivors, and members of the public were invited to create signs on posterboard to be displayed during the 1-mile march through downtown Joliet. JJWC members donated markers and posterboard to be used for the craft, and JJWC also donated $250 as sponsors of the event. 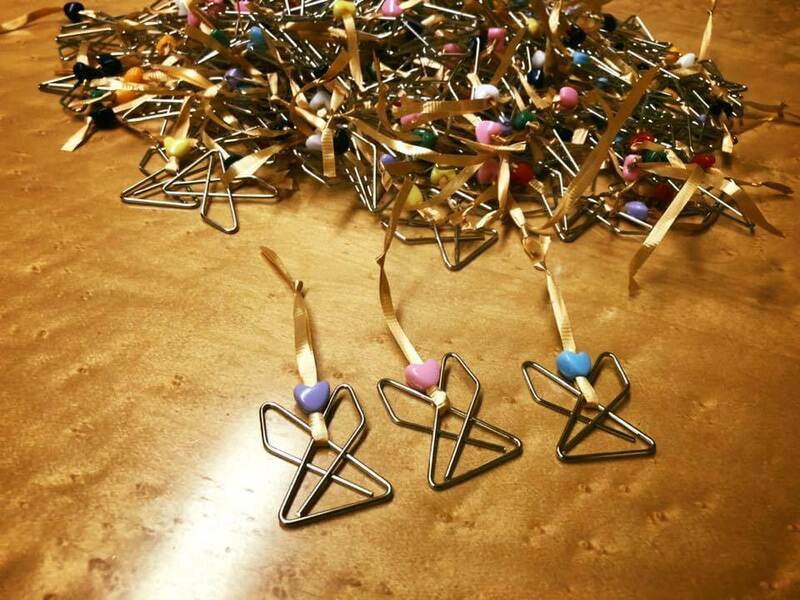 During the general meeting on October 10, 2018, which was hosted at the local hospital, Presence Saint Joseph Medical Center in Joliet, members crafted clever angels out of heart-shaped beads, ribbon, and paper clips. Over 200 angels were donated to the hospital; housekeepers there keep the angels handy to pass out to patients that they interact with whom they feel need a little extra encouragement and prayers. JJWC members participated in an art project to benefit Will County Habitat for Humanity. Habitat for Humanity hosted a fundraising night, “Tinsel, ‘Tinis and Treasures” at its ReStore retail store, where various community groups were invited to decorate a full-size Christmas tree to be auctioned off to benefit HFH. At the November 7, 2018 general meeting, 15 members – led by Fine Arts committee chair Katie Gulas – crafted handmade ornaments to decorate the JJWC tree. Each ornament represented values that are important to the club: pages from used books represented our commitment to literacy; ornaments made by upcycling paint sample chips represented our commitment to conservation; and paper clip angels were used from a service project the club had completed for St. Joseph Medical Center. 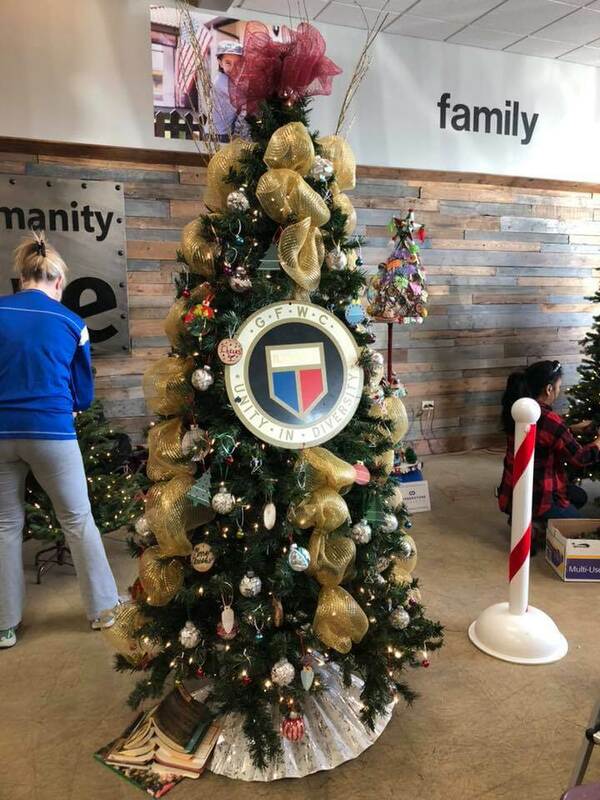 On November 11, 3 members gathered at the ReStore to decorate the tree. The members also provided an in-kind donation of ribbon. 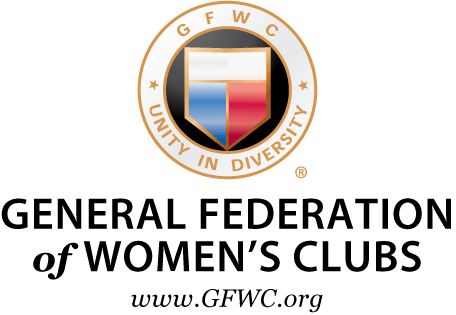 The crowning decorative piece on the tree was a large GFWC emblem, measuring about 18” in diameter, which proudly displayed our affiliation with the Federation. 2 members attended the “Tinsel, ‘Tinis and Treasures” event on November 14, where they mingled with attendees, talked about our club, and handed out brochures about JJWC. The networking proved fruitful, as a new member was recruited that evening.